Serving Phoenix, Tucson and all Metro Surrounding Areas. Experience matters with over 15,000 fence installs since 2001. Manufactured by Toddler Safety Systems. We install the highest-quality pool covers, fences, and safety gates, backed by a lifetime manufacturer's warranty. Experience matters when it comes to pool safety. We have done over 15,000 installations since 2001. Let our team provide you with peace of mind and a quality installation. We are your code compliant experts. Offering self-closing door systems and door repair. 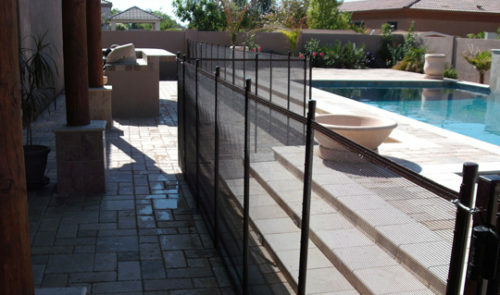 Arizona Pool Fence is dedicated to bringing you the best in pool safety. While nothing can take the place of constant adult supervision, statistics have shown time and time again that without additional protective measures, tragedy can, and does occur, all too frequently. Our goal is to ensure that you are totally satisfied and we achieve this by taking pride in our work. 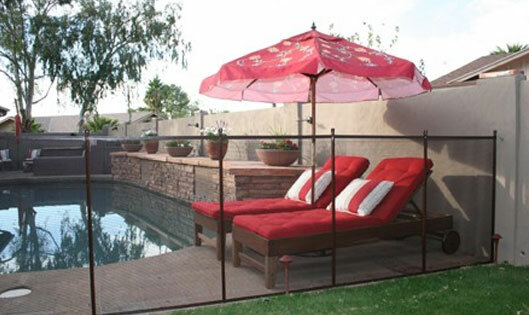 Arizona Pool Fence is not a franchise, we are Phoenix based, family owned and operated for over 15 years in the valley. We manufacture many of our own products, which gives us the leading edge in the latest technology and allows us to offer very competitive pricing as we do most everything locally. We are a proven valley business with over 15,000 installations valley wide. 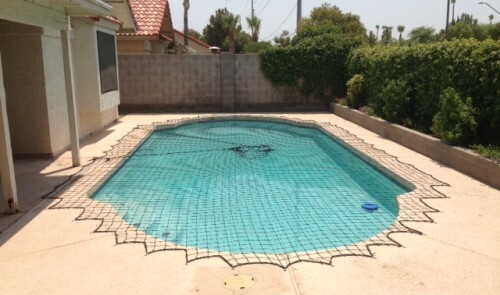 Arizona Pool Fence is made of the strongest UV coated nylon mesh available which provides a safe, transparent and climb proof environment for young children and pets. Our fence is primarily used around pools, spas, ponds, and lake fronts. The tension based system is installed in 15-foot sections with poles placed at 36″ intervals. The fence is easily removable and simple to re-install as long as proper maintenance is maintained. Our fences are available in four or five feet heights for children and two or three-foot heights for pets. Available in three different colors, black, brown and our most popular desert sand. Self-closing key lockable entry gates are installed for convenient access. Our gates work on a self-closing locking mechanism using the finest Magna Latch components. Our gates are also removable. 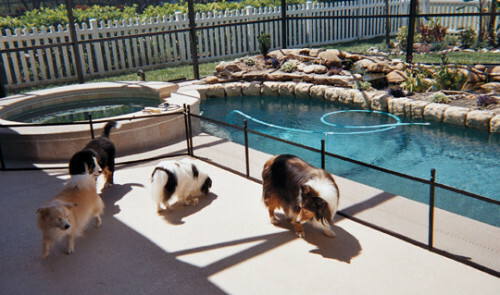 Arizona Pool Fence is designed to provide you and your children and pets with an added layer of protection of safety in and around open water areas. Drowning is the FIRST leading cause of death in children under the age of 15. More than half of all drowning incidents occur in backyard swimming pools or spas that do not have proper pool covers or pool fences. The majority of drowning incidents have occured while the child's supervisor assumed the child was safely indoors.